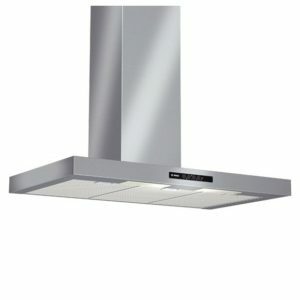 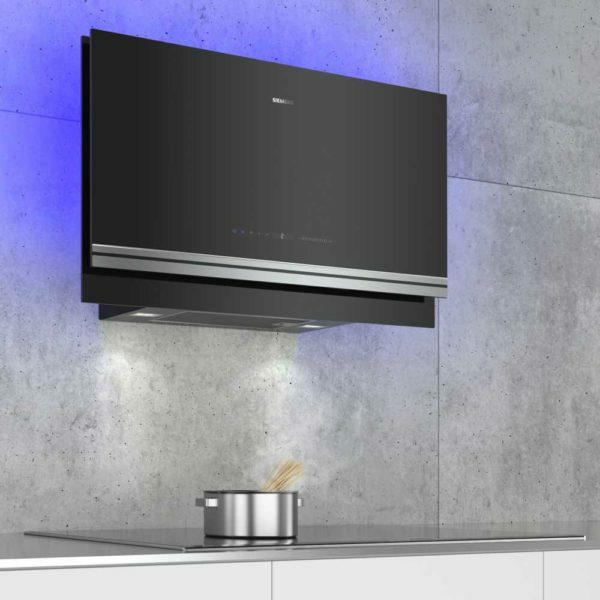 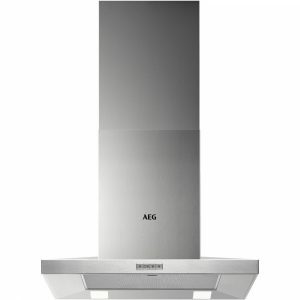 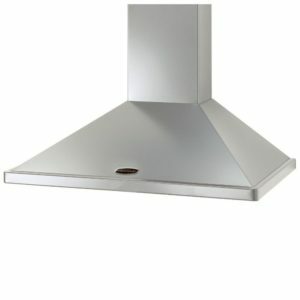 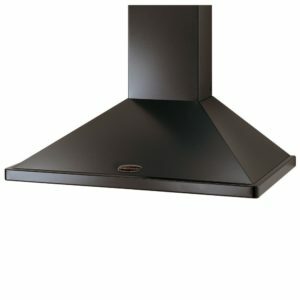 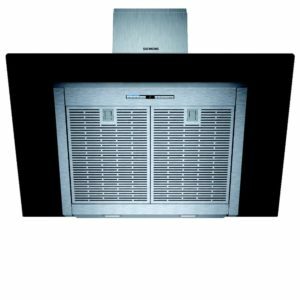 This fantastic chimney hood from Siemens really exudes style, finished in black glass for an incredibly modern appearance. 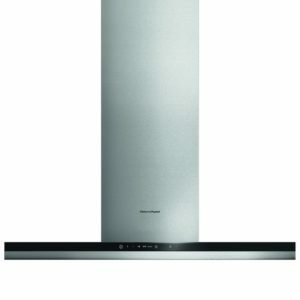 With great performance as well it does more than just turn heads with its looks! 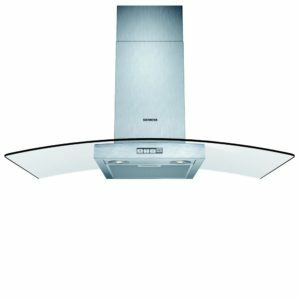 Three speed settings plus 2 intensive modes provide an extraction rate of 420 m³/hour so it will remove your cooking steam and aromas easily. 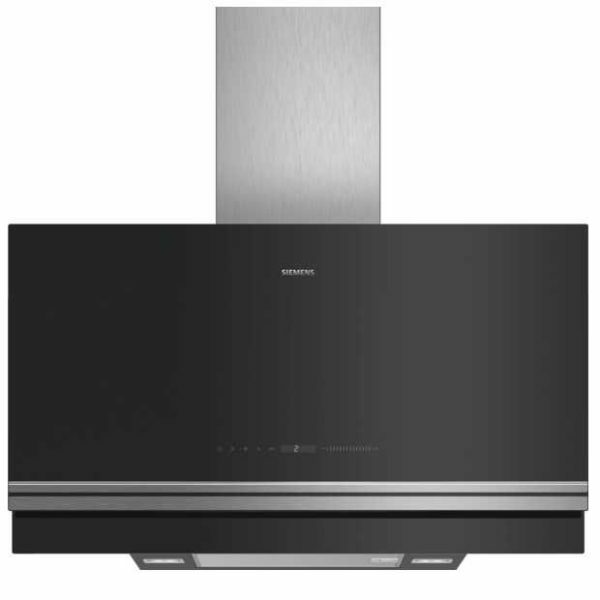 With a suitable WLAN connection you can remotely monitor and control the hood thanks to Home Connect and Cook Connect means the hood can communicate with an enabled Siemens hob for the ultimate in appliance self regulation. The clever LC97FVW60B also uses Climate Control sensors to monitor the moisture in the environment and automatically adjust – brilliant when your hands are full!